The Air Training Corps (ATC) is a military based youth organisation open to young people aged 13 to 17 from any background. 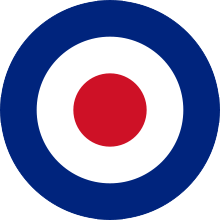 Although supported by the Royal Air Force, the ATC is not a recruiting organisation. However, if you are interested in a service career, the ATC provides a fantastic insight to service life and invaluable experience that will put you ahead of the competition. If not, the ATC will give you hands-on experience of activities and courses that will challenge and develop your skills to help you succeed in whatever you want to do.